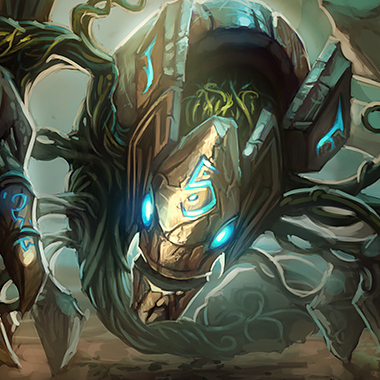 Skarner is a tanky jungler that boasts move speed increases and CC, as well as extra artificial durability. He clears the jungle well, and is a deceptively good duelist thanks to his Fracture ability. and his Crystalline Exoskeleton. He also starts a minigame involving Crystal Spires that can cause the entire playing field to shift in his favor in a fight. Still, all these mechanics mean that things can go wrong for him if he is misplayed, or outplayed, let's talk about how to do the latter. 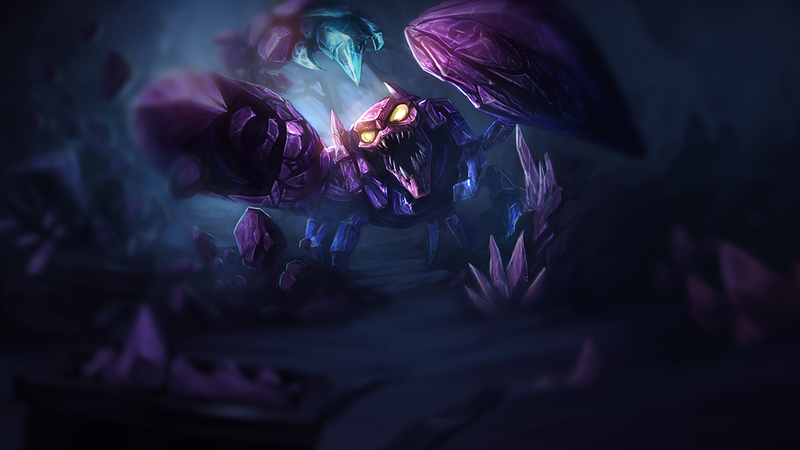 Skarner's presence causes crystals to spawn in set locations around the map. 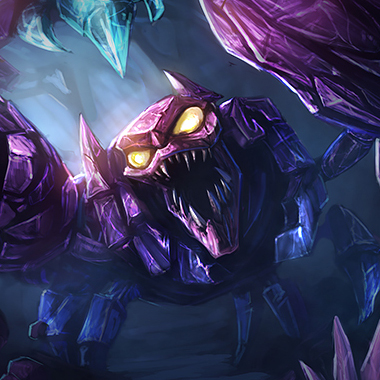 While near crystals his team owns, Skarner gains tremendous movement speed, attack speed, and mana regeneration. Skarner lashes out with his claws, dealing physical damage to all nearby enemies and charging himself with Crystal Energy for several seconds if a unit is struck. If he casts Crystal Slash again while powered by Crystal Energy, he deals bonus magic damage. Skarner gains a shield and has increased Movement Speed while the shield persists. 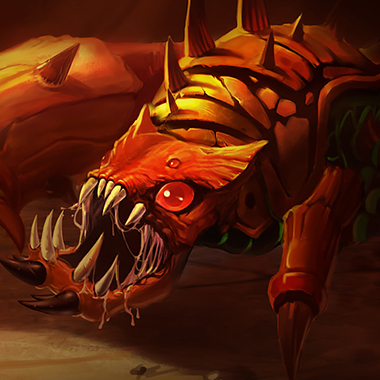 Skarner summons a blast of crystalline energy which deals damage to enemies struck and slows them. 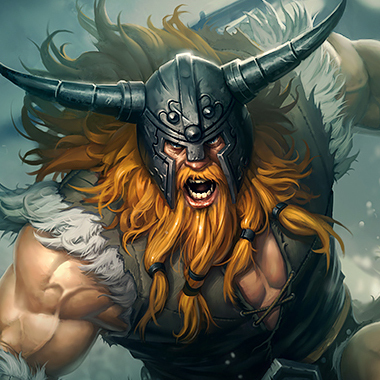 Basic attacking these enemies within a short window will stun them. Skarner suppresses an enemy champion and deals damage to it. During this time, Skarner can move freely and will drag his helpless victim around with him. When the effect ends, the target will be dealt additional damage. 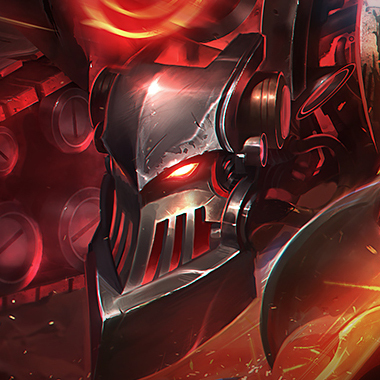 Skarner has a move speed boost, but without a blink or dash, knockback abilities are still strong against him, especially if they're used after or while he's used his Crystalline Exoskeleton, since he won't be able to chase as hard when it's deactivated. 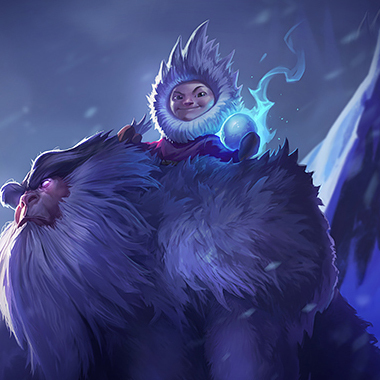 Doing enough damage to Skarner will break his shield, and remove his movement speed bonus, weakening his chase potential, and the likelihood that you get pulled into his team. Buy a QSS against Skarner. It'll remove a lot of Skarners value in his team comp. 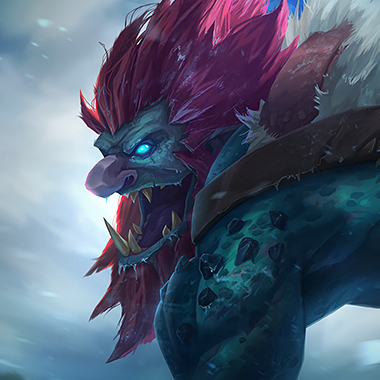 Don't run into the jungle when Skarner is chasing you, unless you have help. The Spires make him capable of chasing you down easier, and hurting you worse. You can do so much more than just fighting him. You can deny him much of his movement speed increase with a well timed Pillar of Ice. You also scale hard enough to fight him one on one in the midgame. He cannot CC you, and you can carve through his shield. You do more damage, and while your ult does make your squishier, with a defensive items, it's negligible, as you eat through his health. You can just permaslow him, and then laugh emote. He'll never catch anyone you're protecting. A QSS or Mikaels is a good pickup, otherwise, just have health, the damage he does later in the game isn't very high, so actual defense types (Armor, MR) should be chosen based on the actual damage dealers of the enemy team.